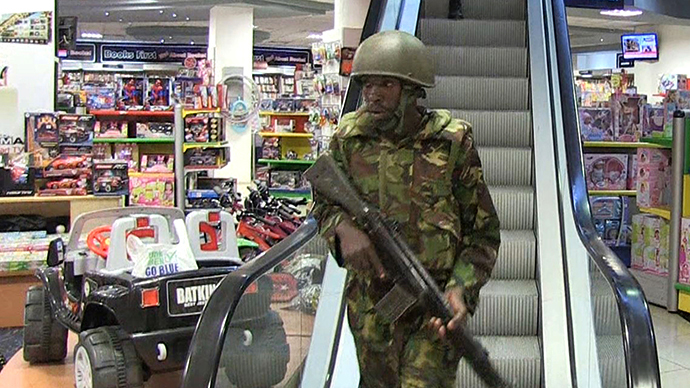 Kenyan President Uhuru Kenyatta announced that the siege in Nairobi’s Westgate mall is over. A total of 72 people were killed in the attack, including five terrorists, the president said, declaring three days of national mourning. 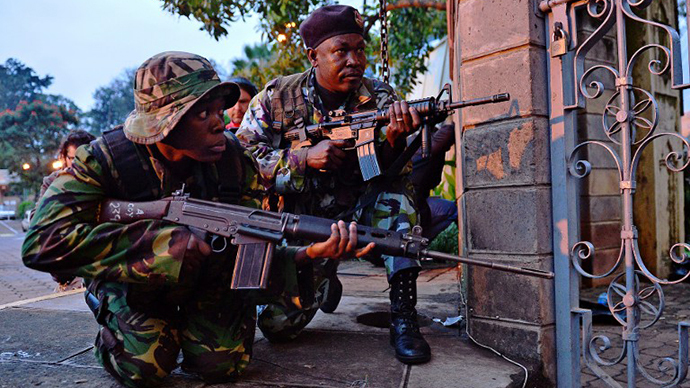 Kenya has "shamed and defeated" the attackers, President Uhuru Kenyatta said in a television address on Tuesday night. "Our country is safe," he added, urging people to remain calm. He said he could not confirm intelligence reports that suggested Americans and a British woman were involved in carrying out the attack. Forensic experts are now working to identify the nationalities of the terrorists, he said. The UK foreign office said on Wednesday that a British national is among at least 11 individuals arrested in connection with the siege. The attack has left a total of 72 people dead, including 61 civilians, six members of the Kenyan security forces and five terrorists, Kenyatta said. A total of 240 people were either killed or injured. Three stores in the mall have collapsed, leaving more bodies trapped in the rubble. Meanwhile, the hostage-takers themselves boasted on Wednesday about killing a total of 137 people, AFP reports. The militants claimed the majority of the victims were buried under the collapsed roof of the building. Three days of national mourning have been declared in the country. Despite Kenyatta saying that the situation at the Westgate shopping center was under control, ITV News reported that the sound of gunfire and explosions could still be heard coming from the mall. Firefighters still haven’t been allowed to extinguish a fire that has been raging in the mall for more than 24 hours. The search and rescue operation has been suspended for the evening to resume Wednesday, with the death toll from the attack expected to rise. The militant group behind the four-day takeover of the mall claim Kenyan government forces were forced to use explosives in carrying out "a demolition" of the structure, burying 137 hostages in the ensuing rubble. Government spokesman Manoah Esipisu quickly dismissed the claims, saying that no chemical weapons were used. He added that the three floors of the building that collapsed suffered structural damage due to a fire started by the attackers. At the same time, the Kenyan minister said he expects that only bodies of terrorists will be found under the rubble. 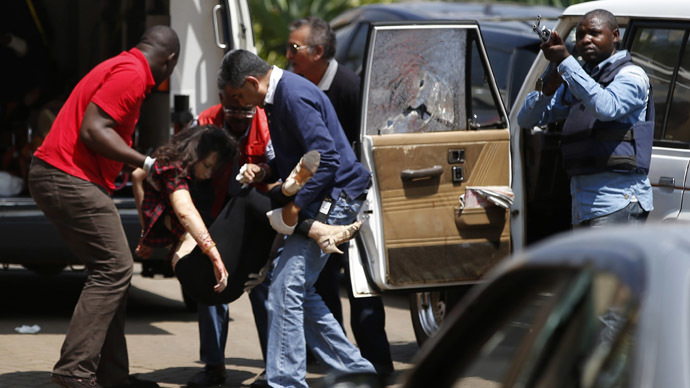 Kenya has started a forensic investigation into the attack. "We have moved to the next phase," Cabinet Secretary for Interior Joseph ole Lenku said. Meanwhile, over 10 people have been detained at the Nairobi airport for questioning in connection with the attack. The Kenyan interior minister said the government is not able to confirm if any Britons were among the militants who attacked the shopping center. The UK ambassador to Kenya said that a British man, who was arrested in Nairobi airport on suspicions of being connected to the militants, was most likely not involved in the attack. 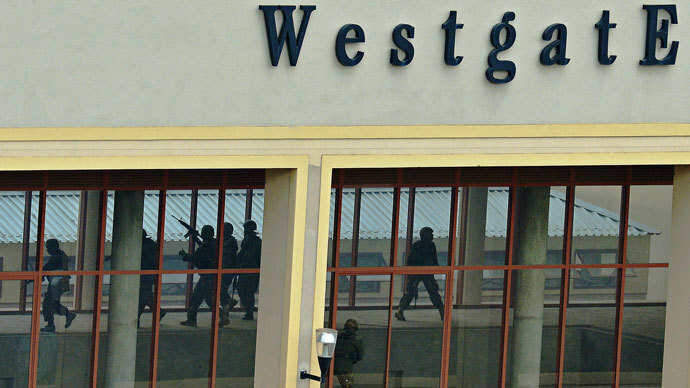 On Saturday, a group of militants assaulted the Westgate mall in Nairobi, a popular destination for the city’s expatriate community, capturing dozens of hostages and injuring many others. The counter operation by security forces to free the captives began at dawn on Monday, with a volley of explosions and heavy fire at the scene. Shortly after the Kenyan Interior Ministry reassured the public that its forces were "in control" of the situation, the fighting, sporadic gunfire and explosions restarted. On Tuesday morning, the Interior Ministry said the forces were "combing the mall floor-by-floor, looking for anyone left behind. We believe all hostages have been released." However, the Al-Shabaab terror group, which claimed responsibility for the attacks, was still saying its fighters were holding out inside the mall. “There are [a] countless number of dead bodies still scattered inside the mall, and the Mujahideen are still holding their ground,” Al-Shabaab tweeted. Al-Shabaab claimed the hostage siege was a response to Kenyan military operations in Somalia. The terrorists demanded that Kenyan troops be pulled out of Somalia immediately, and threatened further attacks on the Nairobi shopping mall. Among the victims of the attack are citizens from the US, Britain, France, Canada, Australia, China, South Korea, India, South Africa, the Netherlands and Ghana. Five Americans were injured.